In some parts of the world babies are born, children grow up and adults face the end of their lives living and working in the poisonous waste created and discarded by others. In other parts people live on a tightrope between floods and droughts and grave injustices. In these places, life is slowly strangled from the very beginning. This is not God’s design for humanity and the Earth. Life is moving so fast that many people are disorientated. The faster life goes, the more we consume, the more we waste and the further away from God and the poor we move. With this over-consumption comes a heaviness – not just physical but also spiritual. We gather so many things into our heads and lives that one more thought or fact or responsibility overwhelms us into lethargy. In June, Pope Francis called each of us to undertake a mission to save the planet, our relationship with God and our human family. He gave us a reminder to “take the trash out of our lives” and clean it up out of everyone else’s so we can live as one human family in dignity and in unity. In the encyclical Laudato Si’ the Holy Father lays the path for a global “ecological conversion”. I would like to echo this call to the whole of the Caritas family and invite you to welcome into your hearts Caritas’ strategic vision “One Human Family, Caring for Creation”. In Laudato Si’ Pope Francis reminds us to replace consumption with a sense of sacrifice, greed with generosity and wastefulness with a spirit of sharing. We must “give, and not simply give up”. We are called to free ourselves from all that is heavy and negative and wasteful and to enter into dialogue with our global family. This requires a process of universal communication and listening in truth, a global examination of conscience, a global recognition of failures and guilt and a global resolve to right the harm already done. We need to recover the horizon of gift and grace within which every creature finds its place. We need to see our human vocation to live with the family of creation as stewards and not owners. This requires us to be energetic, driven and creative but never domineering and abusive. In Caritas I have witnessed the power of active love at work in the midst of this global ecological crisis. Caritas workers build bonds of solidarity with people living on trash heaps. They reinforce the dignity of the poorest who are battered by climate change. Caritas volunteers accompany people across the world in their efforts to build up their lives and homes and send their children to school. Caritas is the living Word of God in the poor communities of the world. It is a free-flowing river of love and hope which nourishes and has an enormous natural power to bring about change. As Caritas and as members of the human family, we all have a role to play in this ecological revolution to which Pope Francis has invited us. We must strengthen the ties among our organisations so we work better together. By pooling our resources, sharing information and supporting one another we can show that it is possible for people of good will to restore hope together. We must use all of our knowledge and experience to come up with “bite-size” initiatives which will enable ourselves and any member of society to embark on the lifestyle changes necessary for personal conversion. We must think long and hard about how to make sure that the message of the encyclical reaches the extremes of society: the poorest who suffer unjustly because of other people’s choices, and the elites who have an enormous power to bring about global change and yet shy away from this responsibility. 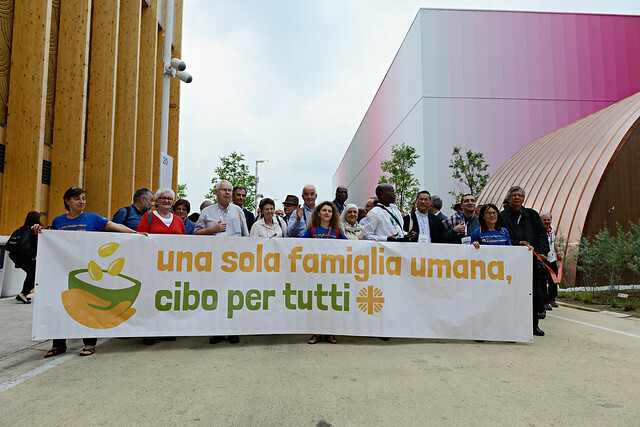 The many quotations of bishops’ conferences from all over the world in the encyclical show that the local Churches have been addressing the ecological issue for a number of years now. We thank Pope Francis for bringing these voices together into a “chorus” of praise, lament and call. I believe that Church leaders, especially Caritas bishops have a major role to play making sure people take to their hearts the message of Pope Francis’ encyclical by pushing for a Christian spirituality of ecological integrity. Such a spirituality includes a recovery of a contemplative stance that sees and appreciates the beauty of creation. We need to shape a spirituality that invites politicians, business people, artists, educators, scientists and builders to work for the common good, respecting the dignity of each person, especially of the poor and most vulnerable. God’s love is the fundamental moving force in all created things. Caritas is a manifestation of that love which translates “global warming” into a worldwide warming of our hearts to the poor.